BEADS AND BLING – IT’S ALL A MARDI GRAS THING! 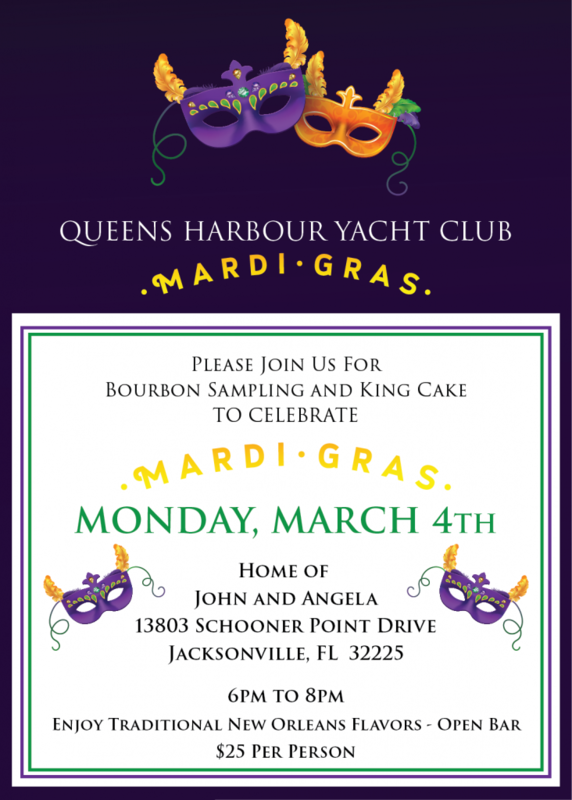 Come enjoy a social evening to celebrate FAT TUESDAY on Monday March 4th at the home of John Hallbauer and Angela OConnell. There will be plenty of traditional New Orleans Flavors to sample as well as a Yacht Club limited bar. Feel free to come ready to parade and catch the beads! This event is limited to 60 guest. We will only be able to accommodate the first 60 attendees.